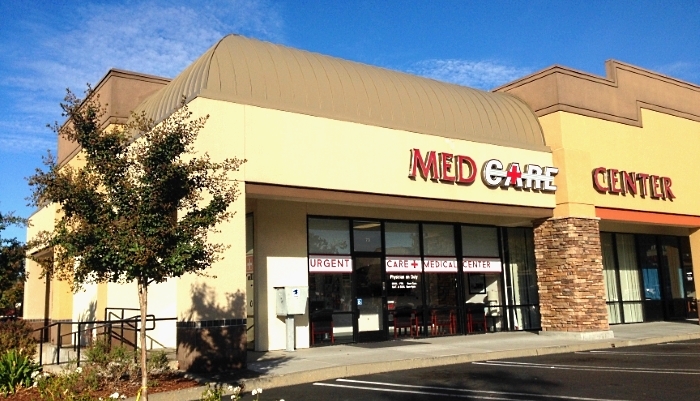 Med Care Medical Center has proudly provided Roseville urgent care for over 26 years. We offer a clean and friendly walk-in clinic for non-emergency illnesses and injuries, sports physicals and DOT Physicals. We are open 365 days a year to best serve your health care needs. We provide urgent care, physicals and occupational health services to all ages over 3 months. You will always receive the highest quality medical care at the most affordable prices. No insurance, no problem – we offer the lowest self pay prices in the Roseville area. This means you will see a caring professional seven days a week for urgent care. We are right around the corner with a convenient location, the most affordable pricing that matches the outstanding medical care you need. Med Care walk-in offers fast, friendly and affordable health care to get you feeling better quickly. Walk-in urgent medical care provides affordable health care for situations that are too urgent to wait for the family physician, but not serious enough to go to the ER. Med Care Medical Center urgent care center offers experienced physicians. In many cases, Med Care doctors offer treatments that will save you time and money. We accept most major insurance plans and with no-appointments needed, our walk-in medical care is here when you need it most. Our office is off I-80 on Douglas Blvd and Rocky Ridge, convenient to Roseville, Rocklin, Granite Bay, Orangevale, Fair Oaks, Folsom, El Dorado Hills, Citrus Heights, Antelope and much of Sacramento. So, the next time you need to see a doctor and don’t want to wait, simply walk right in to Med Care Medical Center in Roseville. Illnesses and injuries aren’t something that can be scheduled ahead. ER prices are expensive and require long waits! That’s why our urgent care Roseville medical center is your best choice for treating many conditions. Fractures, fevers, infections, rashes, stings, colds, flu, allergies, burns, sports injuries, you name it, we see it. Rest easy you will see a doctor quick when you feel your worst. We offer x-rays, electrocardiograms, throat cultures, urinalysis and more, all right in our office. Best of all, we’re far less expensive than the emergency room and we accept most insurance plans!